Want a great cooler and want to get the best value for money? Then you in in the perfect place. When it comes to finding the best cooler for the money you must consider a few different factors. Of course, everyone will have their own wants and needs when it comes to coolers and how much they want to spend on one. Some people will need longer ice retention and some people will need a cooler that is more portable. So below I have included a range of different products that are without a doubt the best value for money when it comes to a cooler. 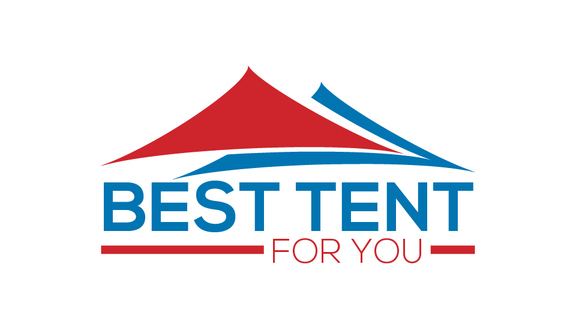 I have included a range of products at different prices so you can find the best option to suit your needs but I can assure you they are all top-notch quality! 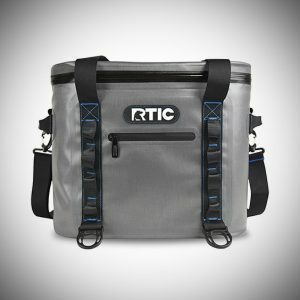 If you are looking for a cooler that not only offers great quality and ice retention but at an extremely good price point, then this RTIC cooler could be a great option for you. This cooler is available in 3 size options – the 20, the 30 which is the one we used here and the 40. All 3 of them have are pretty much identical in terms of build quality and features, so you can just choose the size that is best suited for you. The number represents the amount of cans you can hold inside alongside the ice. So, the 30 size can hold 30 cans with ice which I feel is a good size that will suit people who are looking for a more portable cooling option. When it comes to ice retention this cooler is tremendous and that’s why I included it here in my top five. It can hold ice for 3-4 days in my experience in hot weather of 90+. For a cooler this portable, that is amazing and I was really surprised because of how low priced this cooler is. This ice retention is mainly because of the foam insulation that cover the top and bottom with up to 2 inches of insulation which of course greatly helps. It also has a zipper which seals the cooler well and stops any cold air from escaping and hot air from entering. The carrying strap is very comfortable to carry, I personally carried it for 2 hours and I didn’t feel any strain even when it was fully loaded. The material that lines the cooler is great, not only is it durable and able to take a beating but it doesn’t sweat on the outside which can sometimes happen on lower end coolers but you won’t have this problem with this one. If you are looking for a portable cooler this is without a doubt a great option for you. While there are other different sizes available I used the 20-quart option. 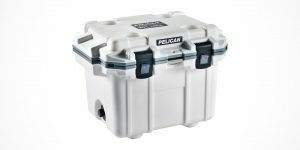 If you are looking for a cooler that has incredible ice retention and durability then this Pelican cooler is definitely worth considering. 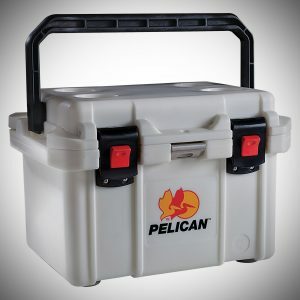 In terms of durability this Pelican cooler is brilliant. It has a flush molded deign that is not only durable but makes for excellent insulation as well. This cooler is an ideal option if you are going to be using it for drinks. It has cup holders built into the top side of the cooler itself and on the front middle of the cooler is a bottle opener as well which is very handy. Now for how well it holds ice. I was personally able to get 4 days of ice retention in temperatures of 80+. It has extremely good ice retention for a smaller sized cooler. If I was to compare this to a top of the line cooler like a Yeti cooler, it is only slightly falls short of it and all for a much lower price point. Basically, you are getting a premium cooler for a steal of a price. 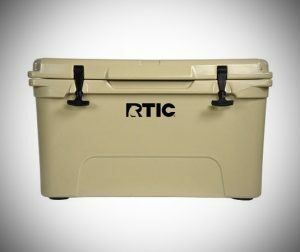 This line of RTIC coolers are available in 3 sizes – 20-quart, 45-quart and 65-quart. Here for this roundup I will be considering the 45-quart option. The first thing I noticed about this cooler is the design and build quality, it has a great design that can hang with the like of Yeti. It’s made from a roto molded construction which allows for amazing durability and insulation. It can be carried using the built-in indents or the handles on both sides, both of which are manageable to carry solo even when full. One thing I particularly like is the latches they are better than most coolers I have used. This may not seem like a big deal but they work seamlessly and that allows for a tight and simple closure of the cooler, which I can’t say for some lower quality coolers. There are 2 areas this cooler really shines one being the amazing ice retention. In my usage, I was able to get 7-8 days of ice retention on this size which is top of the line, it’s on par with the best coolers on the market right now. If you do want the bigger 65-quart size this ice retention will be even longer and on the smaller 20-quart size it will be slightly lower so keep that in mind when you are buying. The other area this cooler sign is the price. For such a high end cooler, you would expect a much higher price, even if this cooler was double the price it would still be a good deal and for me that really shows how great a product RTIC have created and that’s why its top 3 of my list. Yeti are not known for being the best value for money with coolers but if you are wanting a cooler that is a market leader in every area then a Yeti is the perfect choice for you. 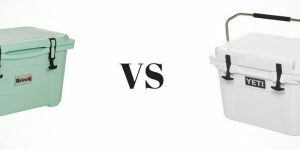 When it comes to Yeti coolers this Yeti Hopper offers such great value for the money I simply had to include it, it’s one of Yeti’s cheapest options so it is great cooler to consider. The Yeti Hopper is available in 3 different sizes the 20, the 30 and the 40 and 2 different color options tan and white. There is a nice amount of sizing options to best suit your needs which is good. Here I used the Hopper 20 in white. 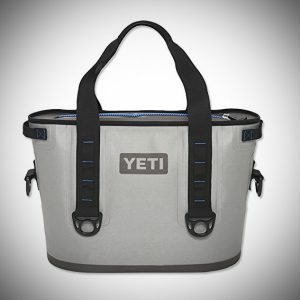 Yeti is known for offering such premium coolers and the Yeti Hopper is no exception. The Yeti Hopper 20 is so portable, the most portable of this top 5 for sure. Even if you do opt to go for the Hoper 20 and are worried about not having enough space don’t worry there is plenty. In fact, it can hold 18 cans of beer inside alongside the ice. In terms of ice retention, the Yeti can go 2- 3 days of keeping ice, and considering you will be using this for shorter trips mostly you will never have any issues. While this ice retention may not seem impressive once you realize the form factor and how portable it is then that’s when you will be really impressed and that’s why it’s such an amazing product. The winner goes to this Orca cooler or this line of Orca coolers. This line of Orca coolers is available in many sizes from 20-quart all the way up to 75-quart. There is also a plethora of color options anything from standard white to the outrageous hot pink – something is sure to catch your eye. In my overview, I used the Orca 20-Quart in white. One thing I love about Orca is the design and overall build quality of the cooler. It looks classy and high end, I have had many people remark to me about it and ask questions. The latches work like a dream and the handles is the most premium handle of any of the cooler I have used. Its comfortable to carry even when fully loaded(20-quart). The ice retention is amazing on this cooler on the smaller size I could get 4-5 days of ice retention of temperatures of 90+ consistently. And if you do decide to go for one of the bigger options this will only increase. 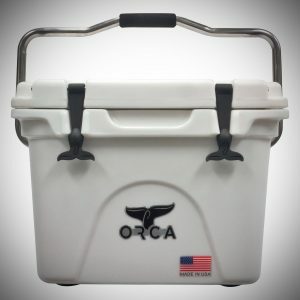 Another thing about Orca cooler is that they are all made in the USA. It’s worth mentioning because their products will always have a higher end quality and production because of it. This Orca cooler has an included cargo net which can be used to store dry goods which is very useful if you aren’t only storing drinks inside, it’s something not many coolers include and it’s so useful to have. As you would expect the durability on this cooler is excellent, it is strong and will last a lifetime! In fact, this Orca cooler is my main cooler that I use every time I need to keep things cold. I personally prefer it to a Yeti cooler and it is only a fraction of the cost of a Yeti. While it may be a little more expensive than some of the alternatives it more than makes up for it in the quality it provides and that’s why I suggest you buy one, it’s a great investment that’s going to last you for years and years to come! 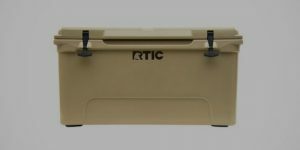 RTIC Cooler Review - Best Premium Coolers for the Money?